She listened to every concern I had and was prepared to offer treatment options, as well as looking into new waysto treat chronic health problems. She listened to every concern I had and was prepared to offer treatment options, as well as looking into new ways to treat chronic health problems. I tried calling Dr. Barber's office Tuesday, Oct. 25 to schedule an appt. I left a message with my name andnumber. They never returned my call, so I scheduled the earliest appt. on Zocdoc which was Thurs. Oct ,27 at 10:00. On Wednesday, Oct 26, someone from Dr. Barbee's office called me and said they had to reschedule my appointment from 10:00 to 11:15. Apparently they started booking appointments without checking Zocdoc. On Thurs, I arrived fory appt at 11:00 am and didn't see the Dr. till 1:00 pm. I wasn't finished till 1:50 because I had to wait for someone to do an ECG. I've had to wait over an hour previously. I don't like waiting so long when I make the appointment in advance, but I like Dr. Barbee. I tried calling Dr. Barber's office Tuesday, Oct. 25 to schedule an appt. I left a message with my name and number. They never returned my call, so I scheduled theearliest appt. on Zocdoc which was Thurs. Oct ,27 at 10:00. On Wednesday, Oct 26, someone from Dr. Barbee's office called me and said they had to reschedule my appointment from 10:00 to 11:15. Apparently they started booking appointments without checking Zocdoc. On Thurs, I arrived fory appt at 11:00 am and didn't see the Dr. till 1:00 pm. I wasn't finished till 1:50 because I had to wait for someone to do an ECG. I've had to wait over an hour previously. I don't like waiting so long when I make the appointment in advance, but I like Dr. Barbee. 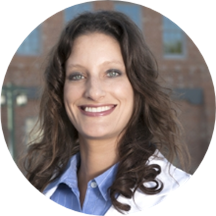 Dr. Barbee is Board Certified in Family Medicine and is a Primary Care Provider. She is originally from Ann Arbor, Michigan. She attended the University of Michigan on an academic excellence scholarship and received her Bachelor's of Science degree. She then went on to receive her MD from Wayne State University School of Medicine in 1998. Dr. Barbee recently moved to Arizona after 16 years practicing medicine in California in various settings: private practice, urgent care, a large family clinic and seven years with the Motion Picture & Television Fund. She is thrilled to call Chandler/Gilbert home and looks forward to building a community practice based on personalized care and long-term patient relationships. Dr. Barbee lives with her husband & son in Chandler. I met with Amber who was great! The front office was also great! Excellent service with staff and care I received. I recommend this as your PCP. She is very friendly and makes you feel comfortable. She takes her time with you and listens to your concerns. I would recommend her to other people like me who don't like to go to the doctor. The staff is very nice and friendly. I will go back. Things were timely and professional. I feel significantly better! I waited over an hour and only spent time with a PA who asked questions but seemed kind of overwhelmed or unsure of himself. My BP and tempvwere taken, but that was all. I was referred for tests, so hopefully thefollow up appt will be better. They said they had just started seeing oatients at this office. Really great bedside manner. Listens to all concerns, discusses next steps, and makes a plan. Doesn't rush you or make you feel like you're just another number. Never even got to see the doctor. Showed at 30 min prior to appointment as asked to do. After 1 hour and 15 min of waiting, I asked how much longer. I was told that there was still 1 more patientthay hasn't been seen and that would put my waiting time 2 hours PAST my appointment time not including the 30 min come in early time! ARE YOU KIDDING ME?!! I was told the doctor ALWAYS runs at least 40 min behind. Being a new patient, not a good first impression. I am very happy with my first experience with Dr. Barbee. I searched around for a new primary doctor for a long time and I'm glad I found her. She was very attentive and she found one solution for the many issues I went in for. I was looking for a primary doctor and I found one. Being here part time from MN. I kept putting it off. Had a small episode that made me decide to look in earnest. Found it. Very impressed with Dr. Barbee and her staff. A very positive experience. I liked the Doctor; however, they did not have a record of my appointment at 10 AM and I had to wait over 1.5 hours to see her. Good thing I had a print out of my appointment and a good thing a patient cancelled. I loved her. She listened to everything I said and took me seriously. My wait time was unusually long because I made the appt just 2 days ago and Jennifer got me squeezed in. The wait time was no problem! Great staff! Very friendly and supportive. Dr. Barbee listened and cared! Dr Barbee is very professional and very nice. I would definitely recommend her to anyone. Dr Barbee was attentive and thorough. She had a very kind manner. The office staff were also very pleasant and helpful. She was very kind and soft spoken and a sense of humor too. I really liked her and she made me feel right at ease. Also no lectures.......that's important especially since we are hard enough on ourselves as it is! I highly recommend Dr. BARBEE. Well run office. Warm and welcoming. No wait time. One on one time with Dr Barbee was excellent. Didnt feel rushed during our time and felt like I had her undivided attention. Immediate treatment for a problem that was discovered inthe office, reevaluation before leaving and a immediate prescription showed her concern and how she practices medicine. They say first impressions are lasting impression and I have to say this was a awesome first visit and I have found a doctor to manage my health care. This was my first visit with Dr. Barbee, and I was very pleasantly surprised! She was very attentive, didn't rush through anything, and asked me some thought-provoking questions about myself. Absolutely thrilled that I found Dr. Barbee and her fantastic staff Robin and Lupe!! Dr Barbee is awesome!! She's easy to talk to and I loved that she doesn't have the "doctor throne" that some do. She realizes that people know their bodies and takes you seriously when you tell her what's normal, what's notand trusts your intuition. I especially love that when certain things that could be prescribed a pill are brought up, Dr Barbee is not pushy that we should take a pill for everything!! It was awesome, wait time was not bad. Dr and Staff all very friendly. Dr. Barbee and her staff were wonderful. This was my first visit, and it was easy to book my appt. after office hours on zocdoc.com. Robin, the receptionist was welcoming and efficient at her job. I can't recall the medical assistant'sname, but she was also very good at her job,and put me right at ease. I would recommend this office,and will be back myself. Thank you for extended early am and late in the afternoon hours, I appreciate being able to work around my work hours. Very nice and efficient. Took enough time to not rush the appointment but was still to the point. Dr. Barbee's a sweetheart! I feel super comfortable discussing stuff with her, she seems like a really down to earth person! All the staff members are very nice! Would recommend this office to anyone! Dr. Barbee and her staff were very friendly and professional would highly recommend her. It was comforting to have a doctor listen to me and thoroughly go through my medical history and communication was excellent very knowledgeable! She is very caring, knowledgeable, and professional. I would recommend Dr. Barbee to everyone. I feel lucky to have her as my primary care doctor. Very friendly, quick, and professional. Great so far! My first impression is very favorable. The office personnel and nurse were great. Dr Barbee asked a lot of questions to get to know me and demonstrated her style with s brief exam. I was impressed. She cared about my health and seemed to understand the pain I live with daily. I thought the staff was great and friendly. Dr Barbee was genuinely interested in why I was there and listened. She didn't come into the exam room pretend to listen and then leave after throwing a prescription at me. I feltvery comfortable with Dr Barbee and really happy I found her!! She was awesome! Super attentive and really listened to me!! Dr. Barbee was friendly and very responsive. She listened, asked pertinent questions and was engaged. I was satisfied with her recommendations for treatments and will be following up within the month. Very nice office, everyone is friendly. Dr. Barbee was able to see me right away for an urgent health issue. She was thorough and listened to my concerns. Her honesty was great, something I needed and she was very relatable. I would recommend her to anyone looking for a primary care physician. Dr. Barbee was fantastic. It was my first visit with her, and she listened to my concerns and was very optimistic about the results. She is the nicest Dr. I've ever seen. I really liked Dr. Barbee. She was so caring and professional. I will definitely go back. The staff were very friendly. Once the paper work was finished I was seen right away. I will surely recommend her to my friends.